Countdown star Rachel Riley has said she has received messages of gratitude for her involvement in the Labour Party anti-Semitism row alongside alleged abusive messages. 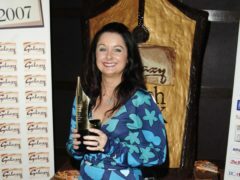 Fans have been forced to console Marian Keyes after the distraught author learned of Pasha Kovalev’s departure from Strictly Come Dancing. Strictly Come Dancing professional Neil Jones said it was a “sad day” as he led tributes to Pasha Kovalev, who has decided to quit the show after eight series. 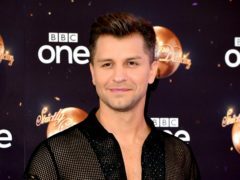 Strictly Come Dancing professional Pasha Kovalev has announced his departure from the programme after eight years. Leaders across the political spectrum have paid tribute to the victims of the Holocaust on a national day of remembrance. Countdown star Rachel Riley has said she is to be given extra security on the programme after receiving abuse online over her comments about anti-Semitism. Countdown presenter Rachel Riley has recalled the “hideous” feeling of receiving hate-filled abuse for trying to speak out about anti-Semitism. 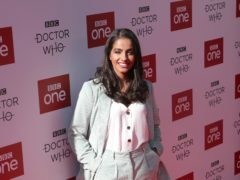 Doctor Who star Mandip Gill, Countdown’s Rachel Riley and Episodes actress Tamsin Greig are among the stars backing a campaign encouraging women to get smear tests. 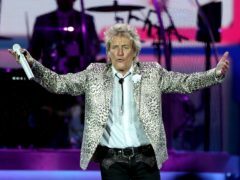 Sir Rod Stewart has called for “peace on earth” as he shared a touching Christmas message with fans. 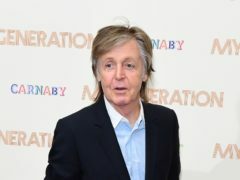 Sir Paul McCartney has told his fans he will be eating and drinking “too much” in a jovial message shared on Christmas Day. More than 200,000 people have signed a petition calling for mental health to be given as much importance as physical health at work. Countdown star Rachel Riley said she has been called a “Tory, brainwashed and thick” for criticising Jeremy Corbyn over the ongoing anti-Semitism row. Rachel Riley sported a cheeky grin after rearranging the Countdown board with a suggestive message. Rachel Riley has celebrated filming her 2000th episode of Countdown with a throwback photo from her first. Rachel Riley marked Countdown’s 35th birthday in the most appropriate way – with a celebratory Countdown conundrum. Countdown viewers were left tittering in front of their TVs when a swear word cropped up during the show.